Summer has always been synonymous with big blockbuster movies. You know the kind dear readers… big-scale, action-packed, testosterone fueled. 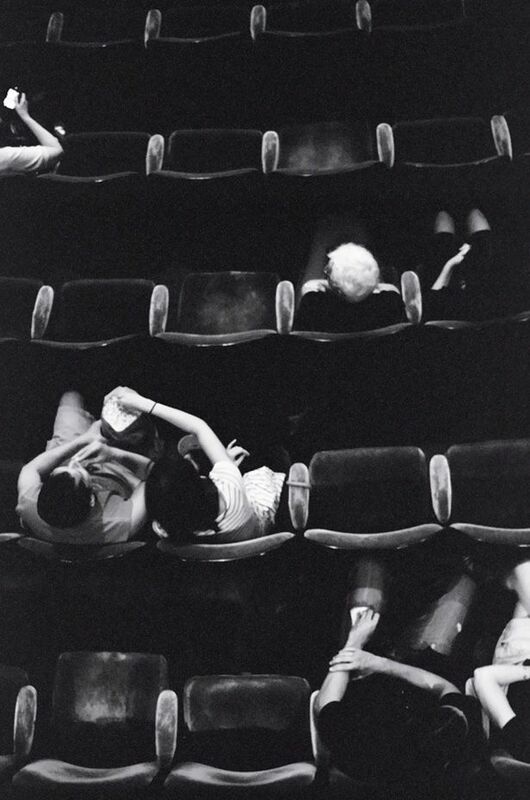 If there is a building to be blown up or a car to be flipped or some sort of post-apocalyptic disaster to be explored you can bet you’ll experience it first-hand in a crowded movie theater on a steamy summer day. spanned a total of twenty plus years of blockbuster magic. That’s one incredible feat! But the film series actually spanned even more years than that. 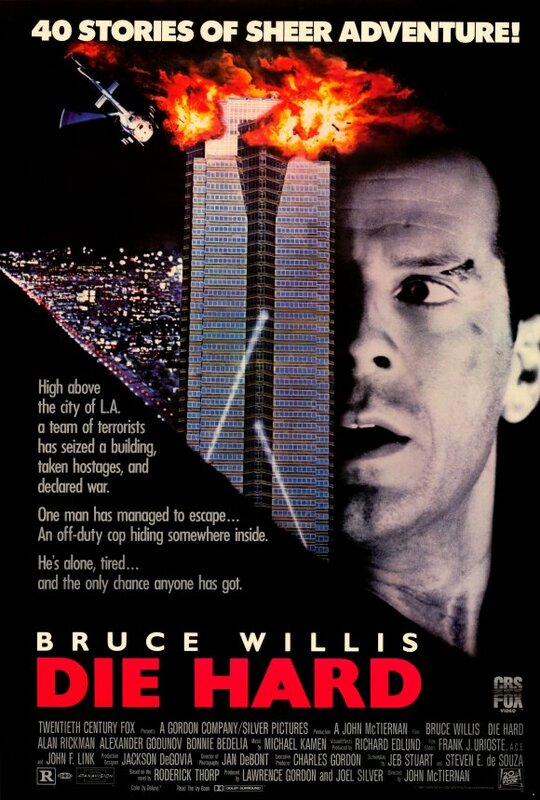 Did you know dear readers, that Willis’ character, NYPD officer John McClane, really stems back another twenty years? by American author Roderick Thorp. Containing just under 600 pages the book was lauded for its gritty yet sensitive themes and layered characters not often portrayed in the typical detective novels of the time. Scene from The Detective. 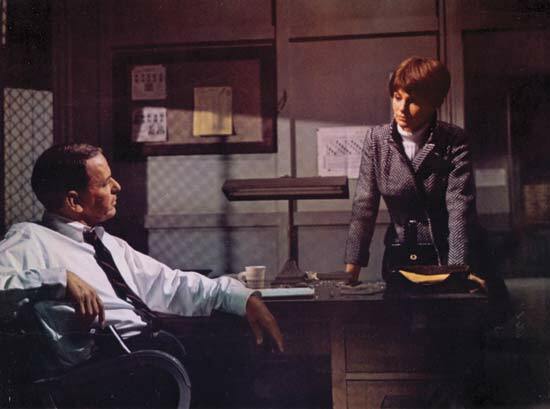 The movie also starred Lee Remick, Jacqueline Bisset and Robert Duvall. Photo via pinterest. 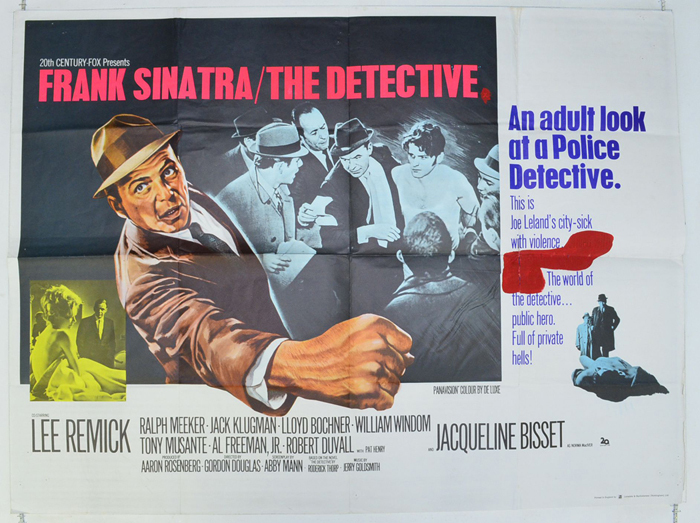 Frank Sinatra brought the character to life on the big screen making the movie just as sensational as the book. Due to the popularity of Roderick Thorp’s novel, the success of the Frank Sinatra film, and the enigmatic character of Joe Leland, Thorp wrote a sequel to The Detective which was published in 1979 titled Nothing Lasts Forever. In this new novel Thorp continued on with Joe’s adventures fighting crime while battling with his own inner demons. Again, history repeated itself and Nothing Lasts Forever became a bestseller and was green-lighted for film adaptation. Only this time there was one hitch. 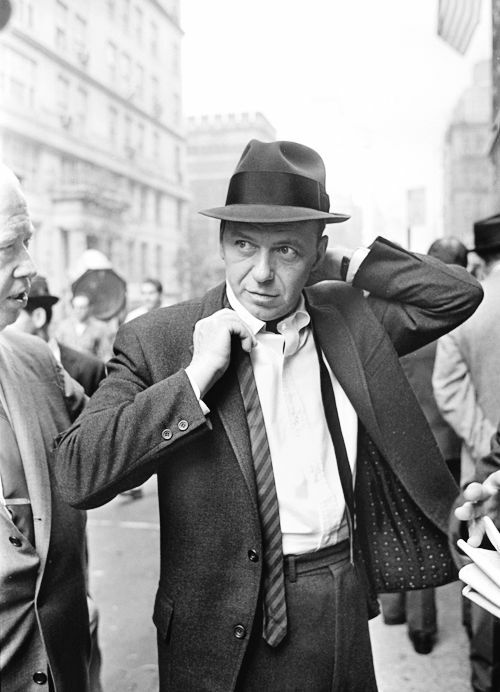 When Frank Sinatra originally starred as Joe LeLand in 1968, his contract stated that he would be offered the title role to any and all sequels. But unlike his character, Sinatra aged at the normal speed of a human being, which means that by the time the film version of Nothing Lasts Forever was ready to be made in the 1980’s Frank Sinatra was in his early 70’s – too old to play Joe. So legend has it – that in order to get around this clause in Sinatra’s contract, the title character’s name would have to be changed so that another actor could fill his spot. Joe Leland became John McClane and Bruce Willis replaced Frank Sinatra. Nothing Lasts Forever usually gets all the notoriety of being the inspiration for Die Hard, but really it all started with the roots of the main character in The Detective. Thorp went on to write 10 other published works with some pieces being adapted for television, but none had the intensity nor the popularity of character quite like Joe. 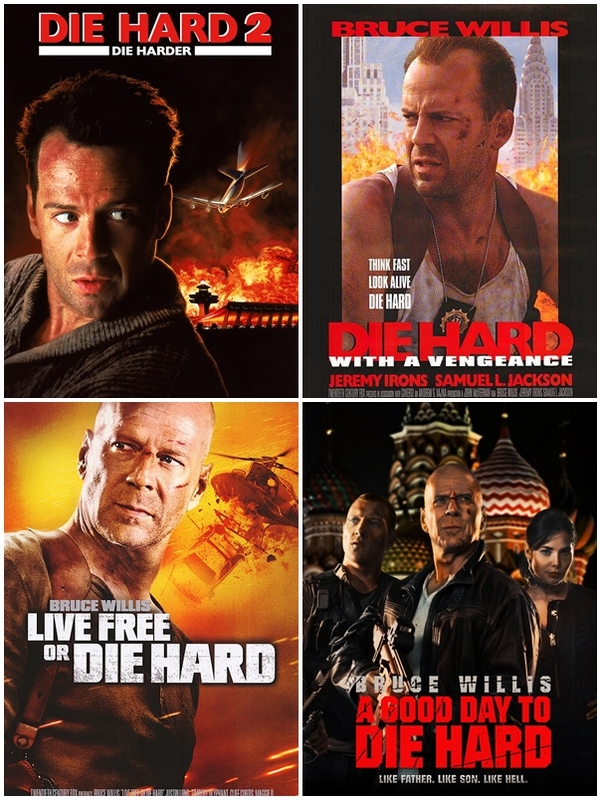 The Die Hard movies went on to become film industry gold earning over one billion dollars world-wide. Thorp died in 1999, which afforded him the ability to see at least the first three Die Hard movies made and experience the big-budget frenzy and marketing empire that they created. It must have been pretty exciting for him! 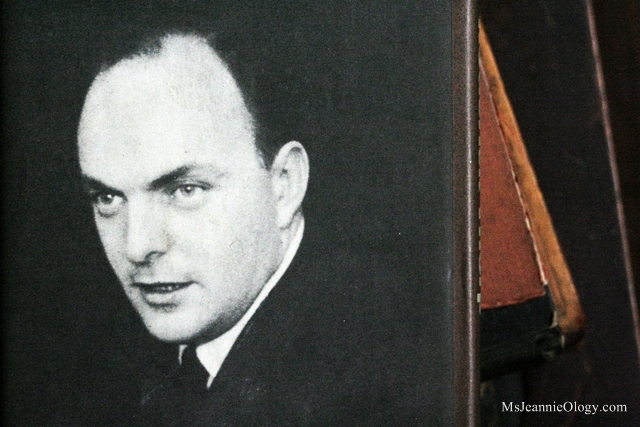 To know that he created a character three decades before that was still storming the minds and hearts of crime readers and movie-goers around the world. A blockbuster indeed – write (pun inteded!) from the beginning! You can find The Detective in Ms. Jeannie’s shop here and the trailer for Sintara’s 1968 film portrayal here. What is your favorite summer blockbuster dear readers? Please share your thoughts in the comment section below! Thank you so much for these wonderful ‘msjeannieology’ mails I receive. You brighten up my day. Oh thank you for your lovely message my dear! You brightened up my day too! I totally forgot how “great looking” Frank Sinatra was back in his day. Love the articles on Joe, Frank and Bruce! Very handsome indeed! So glad you loved the post!